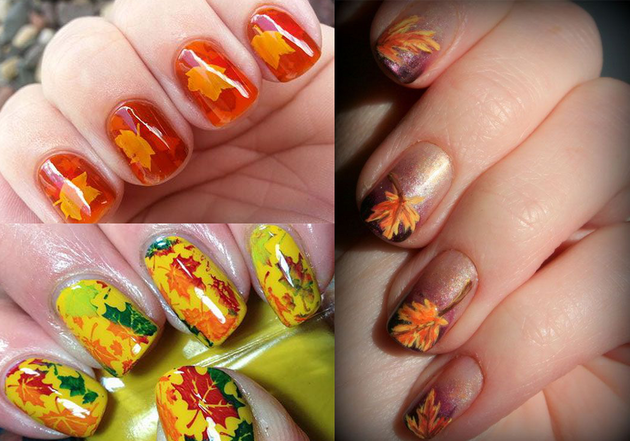 4 Great Thanksgiving Nail Art Ideas. This holiday is not just the perfect moment to spend quality time with your friends and family and share your thoughts. It’s also a great time to look lovely and flaunt festive nails! 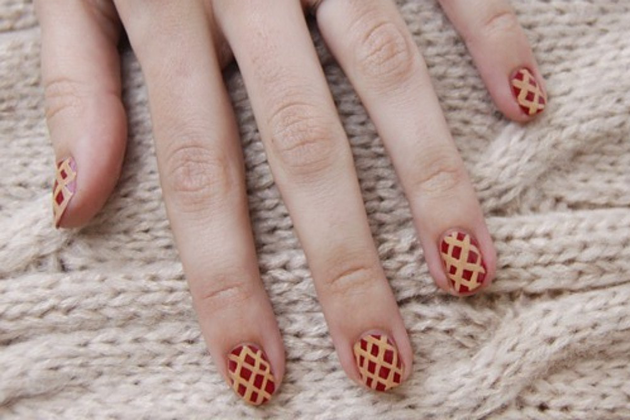 Here are 4 great Thanksgiving nail art ideas to take your style cue from! As this is a holiday that’s celebrated at the end of fall, what would you say about trying this special Thanksgiving nail art idea? You can use Deborah Lippmann Nail Color in Supermodel ($17), SinfulShine in Mirror, Mirror and the Balm Hot Ticket Nail Polish in Grass (Is)n't Always Greener ($10). Apply the cherry red nail polish as a base and then create the leaves with the dark red and green polish shades. Add a top coat and pair your Thanksgiving nails with a stylish dress and a pair of pumps. What would Thanksgiving be without the traditional turkey? So, what would say about wearing this symbol on your nails? You’ll need a nail striper, white, red, yellow and brown nail polish shades and a small dotting tool. Apply the white shade on your nails and then take the nail striper and create the feathers using red, yellow and brown nail polishes. Create the turkey design on your ring fingers and get ready to impress. 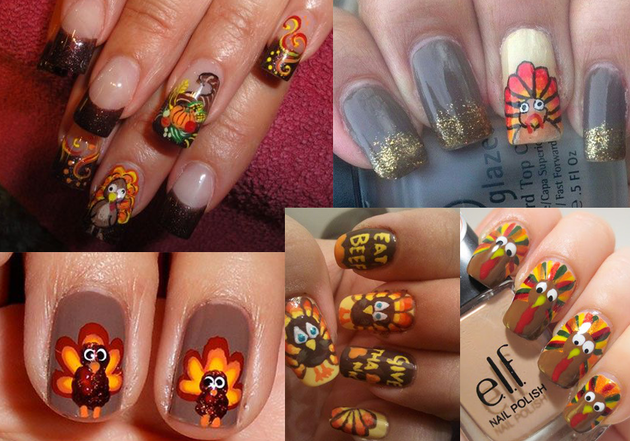 Are you looking for lovely and easy Thanksgiving nail art designs? How does a cherry pie design sound? Apply a deep red shade as a base and let it dry out. Then, take a thin brush and dip it in beige polish. Start painting 3 diagonal lines across your nail. Afterwards, draw other 3 diagonal lines in the opposite direction. 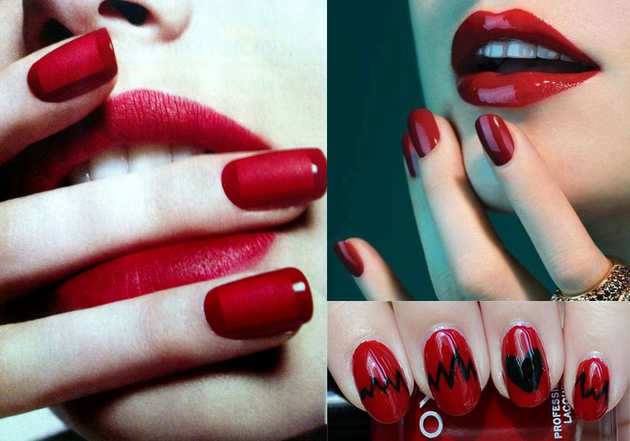 Let your nails dry and match them with a stylish red dress. Good suggestions for this easy Thanksgiving nail art design: NARS Nail Polish in Chinatown ($19) Lancôme Vernis in Love Fade Resistant Gloss Shine Nail Polish in Beige Dentelle ($15). This is without any doubt one of the 'It' fall colors. So, why not wrap this lovely color on your nails on Thanksgiving? Cover your nails with a shiny coat of this intense and rich sanguine red nail polish and match it with a deep red lipstick. This classic combo is just perfect for a festive evening especially if you're not too skilled when it comes to DIY nail art designs. Try: Marc Jacobs Beauty Enamored High-Shine Lacquer in Jezebel ($19) and Tom Ford Beauty Nail Lacquer in Bordeaux Lust ($32).